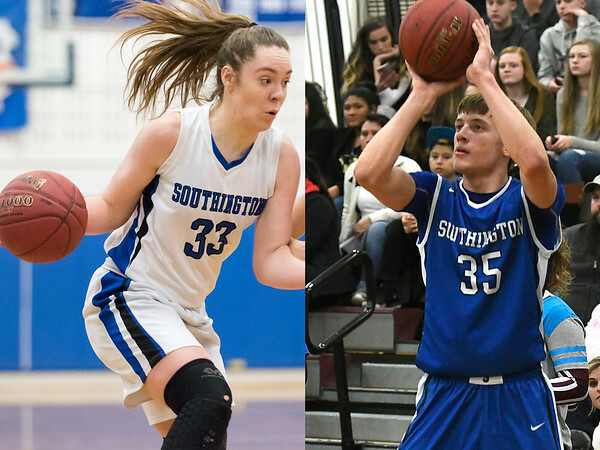 SOUTHINGTON - It was quite the season for the Southington boys basketball team, which had its best postseason run since 2011. It got even better for the Blue Knights senior guard Andrew Lohneiss, who was recognized as the team’s lone player to earn a spot on the CHSCA All-State boys basketball team. The senior guard played a pivotal role for the boys basketball team, which reached the quarterfinals of the Division III state tournament and had its best season as a program in eight seasons. Lohneiss was overjoyed by the selection, but was also shocked at the same time. “It feels great, but I was super surprised when my coach told me,” Lohneiss said. The senior is still undecided where he’ll attend college or if he wants to continue his basketball career. But this latest recognition should go a long way. “Being All-State will help get my name out there, so we’ll see,” Lohneiss said. Lohneiss finished his season averaging 16.5 points and eight rebounds per game. This season alone, he has scored 412 points, while averaging 2.3 assists, 7.8 rebounds per game and was 71.4 percent from the free throw line. The Southington girls basketball team also produced an All-State player, senior guard Janette Wadolowski. It was a big season for Wadolowski. She scored her 1,000th point and finishes as the school’s third all-time leading scorer. But what was even more impressive was Wadolowski reached 1,000 points in less than three full seasons. Wadolowski missed all of her freshman year with an ACL injury and nine games of her junior year to a broken wrist. Wadolowski averaged 23.7 points, 10.9 rebounds and 2.8 steals per game this past season and will play basketball next season at Tufts University in Medford, Mass. Posted in New Britain Herald, Southington on Tuesday, 27 March 2018 21:26. Updated: Tuesday, 27 March 2018 21:28.